Multi-disciplinary festival Art Social returns for its second year in 2015, once again taking place at non-profit members club The House of St Barnabas. A festival of art, creativity and discovery, the week-long event aims to explore how art relates to human needs, in a creative and accessible way. A week of installations and film screenings lead up to the festival's main focus: a weekend of events, talks, pop-ups, lectures, parties and gigs. The magazine Oh Comely will host Feast of Creativity artist workshops; a performance, film and video installation will feature work by Jeremy Deller and Laure Prouvost; and there will be a silent disco under the stars, curated by Tony Nwachukwu of CDR fame. 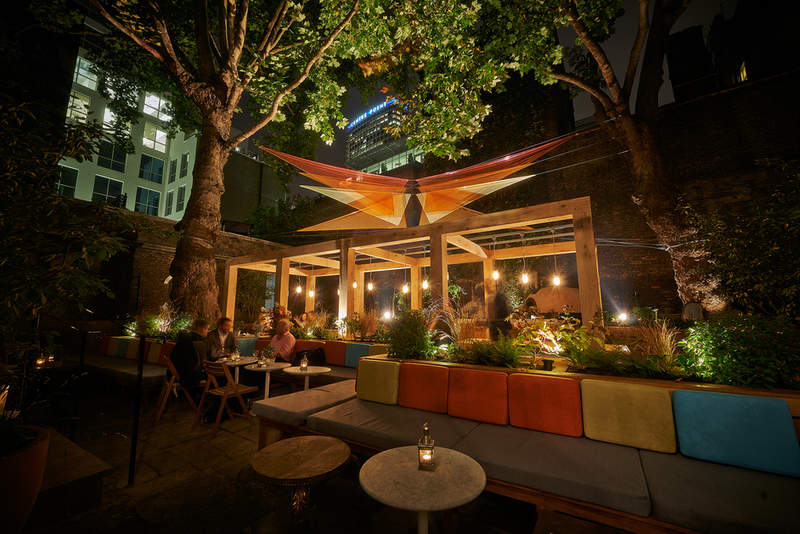 Plus, there are tie-dying workshops, a geometric sculpture by Keef Winter in a secret courtyard garden, and a large-scale installation in Soho Square by Hester Reeve. What are the best dining options near Art Social London? Art Social gyms, sporting activities, health & beauty and fitness. The best pubs near London Art Social. Art Social clubs, bars, cabaret nights, casinos and interesting nightlife. Where to have your meeting, conference, exhibition, private dining or training course near Art Social. From cheap budget places to stay to luxury 5 star suites see our deals for The House Of St Barnabas hotels, including The Nadler Soho Hotel from 82% off.